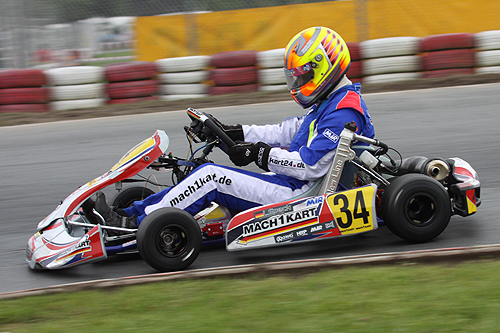 The Mach1 motorsports team experienced a successful weekend at the next-to-last event of the ADAC Kart Masters at the Prokart Raceland Wackersdorf. 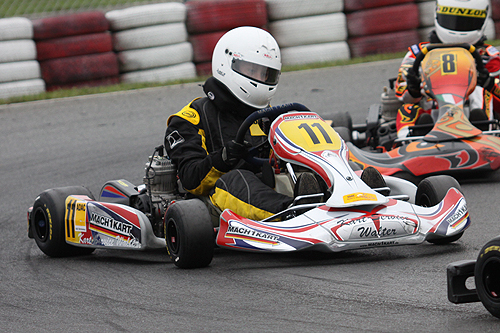 The drivers got in on the top positions in two classes, thus confirming the great trend of the last weeks. 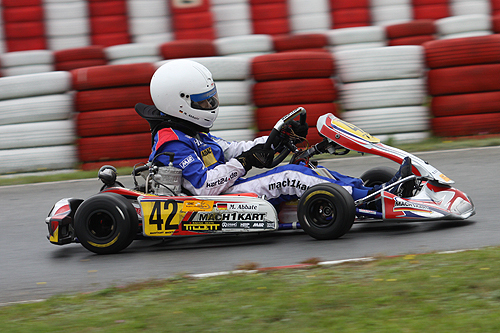 In the IAME X30 junior class Luca Walter competes for the overall victory of the championship. 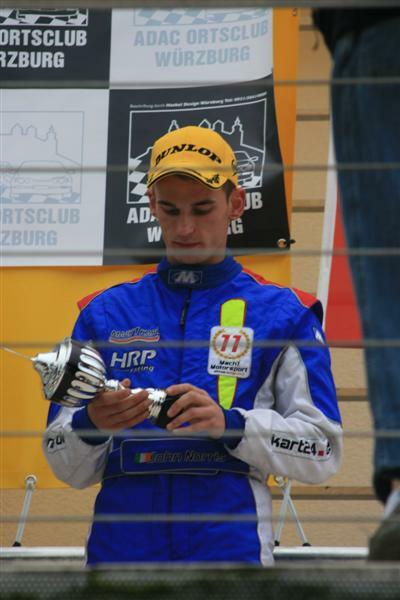 The youngster has been leading the overall standings since the second race of the season and managed to defend his position in Wackersdorf. He came in a satisfying sixth in the rainy qualifying and was able to step up his performance even more during the races. 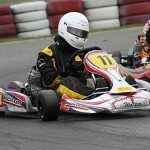 Luca established himself in the leading group and fought for victory in both rounds. 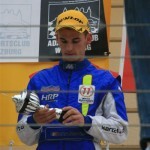 In the end he got in fifth and second, collecting important points on his way to the championship title. 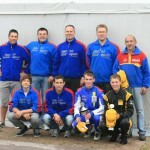 KF2 duo John Norris and Lucas Speck started the racing weekend with a bang. After qualifying, they ended up on first and second place, astonishing their competition. 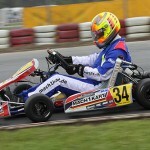 Lucas Speck managed to keep up his good performance during the heats and landed on the third starting position in the first race. Irish John Norris wasn’t so lucky. 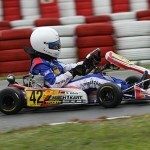 He was thrown back due to a malfunction and had to start the first race from the 24th position. But he wasn’t willing to give up. He fought his way through the international field with a great performance and came in 14th. Lucas Speck’s race didn’t go so well though. Due to a collision he had to let half of his competition pass him by and only managed to reach 12thposition by the end of the race. During the final race the duo started an incredible pursuit race. John Norris achieved numerous best times and just barely missed the winners’ rostrum, coming in fourth. Rear gunner Lucas Speck was in no way inferior to him and came in sixth place. Contrarily, it was a weekend to forget for Mario Abbate. The KF3 junior only came in 31stduring qualifying and had to gain a couple of positions during the heats to secure his qualification. He managed to pass this with flying colors, but in the end couldn’t enter the finals due to collisions and spins that kept slowing him down.